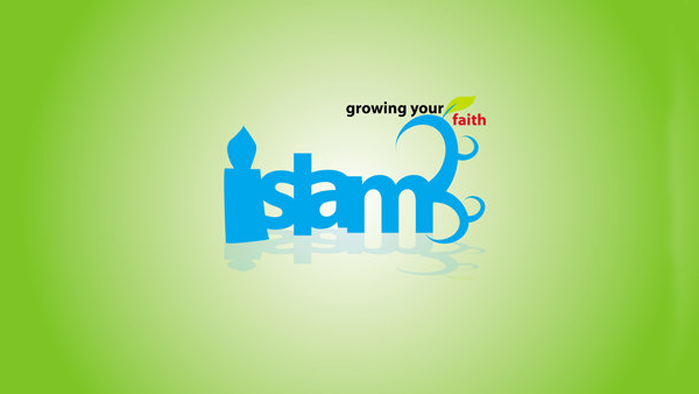 Download Islamic books on Islamic Belief including Book Of Emaan According To The Classical Works Of Ibn Taymiyah, Faith In Predestination (Qada Wa Qadar), Al-Wala Wal-Bara, Aqeedah al-Wasitiyyah, Aqeedah Hamawiyah & Foundations of the Sunnah. The source of all evil is the deviation from the truth and its straight path. The goodness of all matters is the following of truth and adherence to its right way. Truth is the fixed state in which Allah has created every creature in a particular way and managed its affair in a certain manner. Allah is Perfect and exempt from any deficiency or error. This book aims to elucidate the pillars of Emaan (basis of belief, faith) and the characteristics of Kufr (disbelief) and its causes. 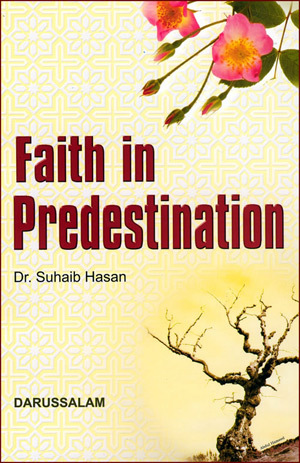 Belief in pre-destination (Qada wa Qadar) is an undisputed article of faith in Islam. For some people, this belief leads to contentment and satisfaction, even in the face of hardship and adversity. But for others, it provides justification for their wrongdoings: how often do we hear people arguing that they should not be blamed for their disobedience since it has already been decreed by Allah that they will sin? The book deals with the concept of Loving for the sake of Allah and hating for the sake of Allah. 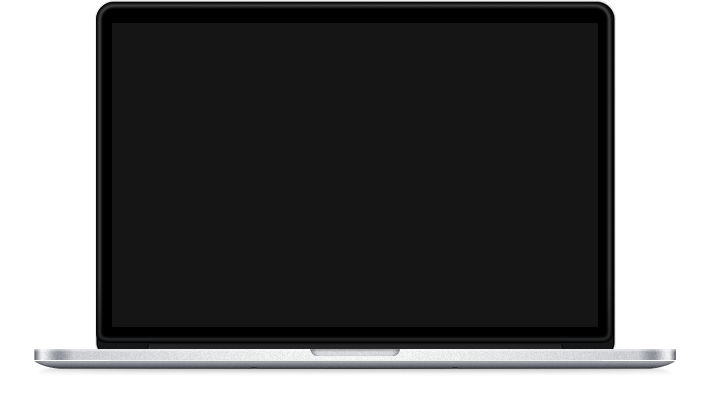 It was originally submitted for a Masters Degree at the Department of Aqeedah Umm al Qorah University in Makkah. 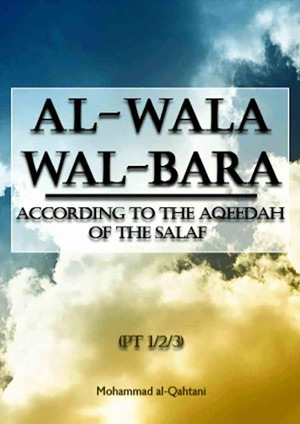 The subject matter of this work is of paramount importance and utmost interest for two major reasons: Firstly, it is concerned with one of Islam's main foundations, namely the qualities of al-wala' wa'1-bara', which are two major prerequisites of true faith: al-wala' is a manifestation of sincere love for Allah, His prophets and the believers; al-bara', on the other hand, is an expression of enmity and hatred towards falsehood and its adherents. Both are evidence of iman. 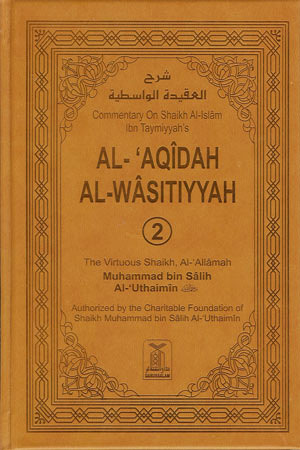 Secondly, it has been written at a very crucial time: everything has become so mixed up that some Muslims are no longer aware of those qualities which distinguish the believers from the non-believers; their faith has become so weak that they have adopted patterns of behaviour that are absolutely repugnant to a sincere believer; they have taken the disbelievers as their friends, while displaying enmity towards many of the believers by disparaging their character and degrading them. 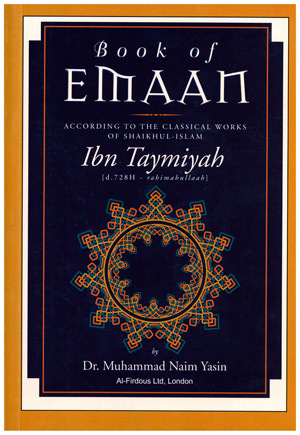 Ibn Taymiyyah addresses many of the deviants beliefs held by the deviant sects of his time. This book is a well known publication due the author and his authenticity and status in the islamic world. 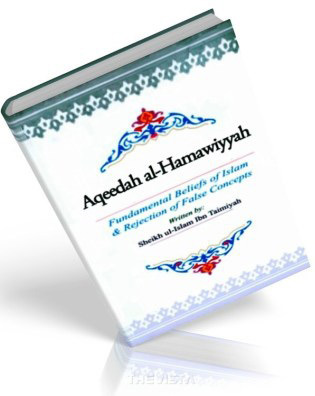 Aqeedah Hamawiyah is basic treatise written by Ibn Taymiyah on Aqeedah. A collection of 3 treatises of the great Imam, with full Arabic text included. The book is complemented with extensive footnotes and 11 appendices - making it a valuable item for any English speaking student of Islaam. 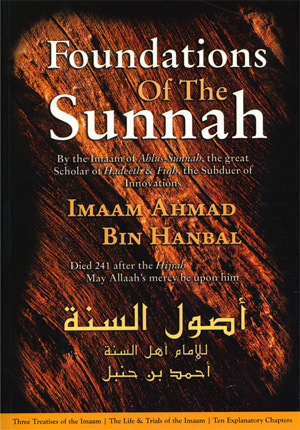 Also contains a comprehensive biography of the Noble Imaam with many moving narrations from him.